Description: New Gen3, x4 – SFF-8639 U.2 PCIe horizontal adapter from Serial Cables. 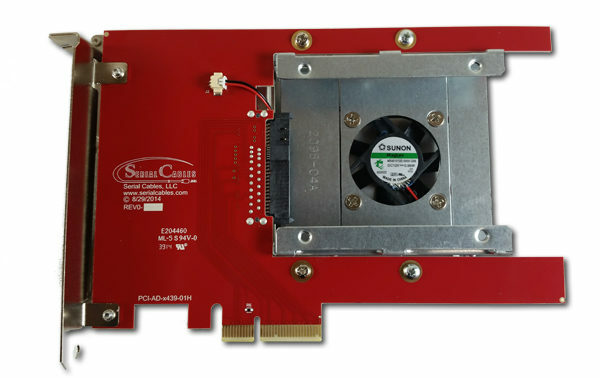 The adapter comes with an adjustable15mm tool-less fixture and full-height PCI bracket installed. 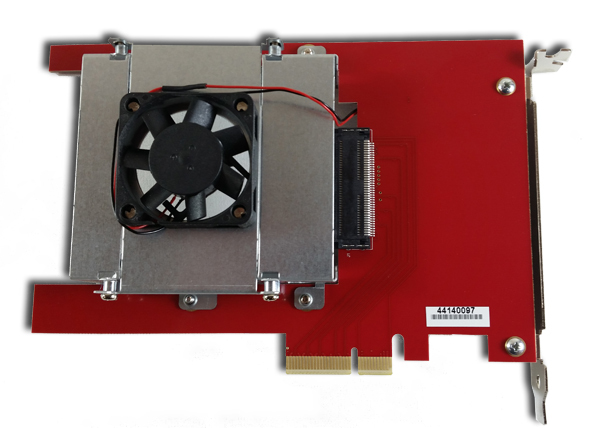 SFF based device will get power through PCIe slot as well as slot powered cooling fan.